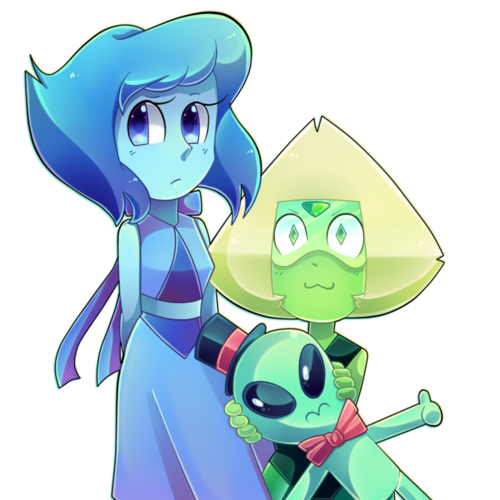 I just need some people to Voice Lapis and Peridot in this Comic dub. Look at the Comics and try to sound like how they react and predict how they might sound. 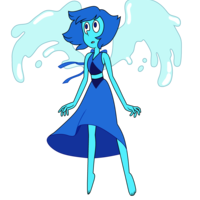 Lapis Lazuli is a former Homeworld Gem that made her debut in "Mirror Gem". She was imprisoned within a magical mirror for thousands of years until she eventually convinced Steven to free her. As of "Same Old World", she has chosen to reside on Earth and is currently living at the Barn with Peridot. So... did you fuse with Garnet? you know, It's okay if you don't want to fuse. No you won't. Wrong wrong wrong. Whenever I do this, I feel stronger than Before. it makes me stronger for some reason. And we're not even Fused! Sorry, Sorry, I Couldn't Resist. You missed my point though. I would. But... Only with a Gem that I trust with my life. 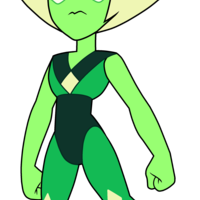 Peridot is a member of the Crystal Gems who made her debut in "Warp Tour". She was originally a Homeworld Gem technician and a certified Kindergartner. I'm Sorry Lapis, I didn't want our conversation to be focused on Fusion!!! Pfft! Of course not! I couldn't do it... I will have to eventually. Fusion makes you stronger Lapis! It's useful in combat! we need that! What? but.... Do you Really feel Stronger? I haven't heard about Gems feeling or getting stronger by holding hands... You don't even have your gem on your hand, let me see..
Lapis. 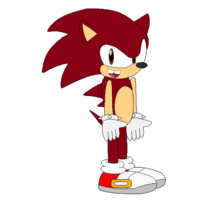 would you.. Would you ever fuse again?